Going to be in town for two days with your family? 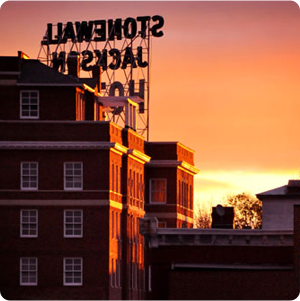 There’s tons to do in Staunton, and 48 hours should give you time to experience the must-do spots as well as squeeze in some lesser-known adventures. 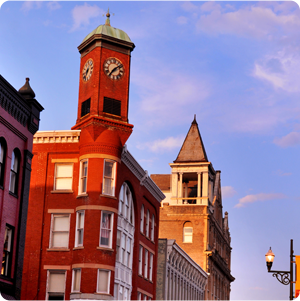 Here’s an itinerary for a family getaway packed with Staunton’s best. Jump right into your Staunton visit by exploring the Saturday morning Staunton Farmer’s Market. Listen to live music, talk to local farmers and taste seasonal fresh fruit and a variety of baked goods. 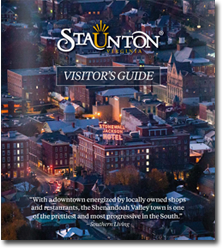 This is a great way to catch a snack, buy gifts for peeps back home, and connect with Staunton’s bustling community. A glass-blowing demonstration at Sunspots Studios will thrill all ages. Using extreme heat, artisans blow and shape molten glass into globes and art pieces. You’ll want to study this process or even try “Blowing Your Own Ornament” (alongside a trained artist, of course). Next, stretch your legs by walking past the train depot and summoning your inner billy goat gruff by climbing up over the historic and recently restored Sears Hill footbridge to Woodrow Park. Bring your camera: the quiet park offers shade, seating, and a postcard-perfect view of the city. Close by, The Depot Grille is a good, family-friendly way to catch a bite. 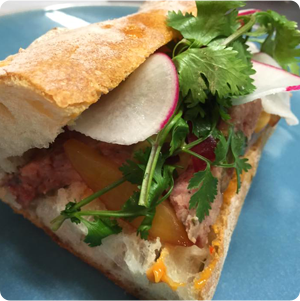 The restaurant serves up delicious American fare and includes a menu for kids. Still hungry? With just a short walk, you can get your hands on a sweet treat from Paris Cake Company. Check out the shopping on or near Beverley Street, which USA Today calls one of the “most charming main streets” in America. 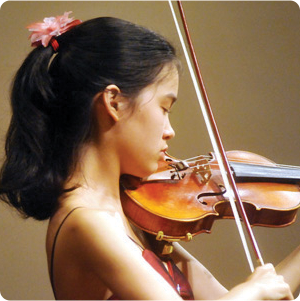 Family favorites include treasure hunting at Staunton Antiques Center, 17 East Beverley Antiques, and Black Swan Books and Music, or hobby shopping at Staunton Trains and Hobbies, the Hobby Surplus Outlet, and The Dragon’s Hoard. And don’t miss Pufferbellies, the largest independently owned toy store in the Valley, which has a hands-on policy and something to fascinate the kid in all of us. A good way to see more of Staunton in a relaxing way is to ride the 25-cent green trolley as it loops through town. Enjoy admiring the Victorian architecture and plan to hop on and off at area attractions like the Jumbo Museum, where you can visit the oldest motorized fire engine in Virginia, and Gypsy Hill Park to feed the ducks, play on the playground, and ride the Gypsy Express Mini-Train. Catch the trolley again for your trip back downtown. If you still have energy to burn on the way, get off and wander historic Thornrose Cemetery for views and history. Have a pre-dinner beverage at Redbeard Brewing Company. The barrel-aged beer here was recently praised in a story by the Washington Post. Children are welcome in the beer garden out back. Next, take a short walk to Shenandoah Pizza for a gourmet pie celebrating local ingredients and lore. Oh, and plan to have more beer from their extensive tap list. Still not ready to turn in? If your family doesn’t have an early bedtime and you’re looking for more evening adventure, put your wits together to solve one of the active puzzles at Crack the Code Escape Room. You’ll have an hour to solve multiple puzzles and escape one of the themed rooms. You have a busy day ahead of you, so make sure you take the time for a hearty breakfast. Voted best breakfast spot in the Valley in 2013, Kathy’s Restaurant heaps on the goodness with traditional breakfast fare served all day. Feast on omelettes, pancakes, and corned beef hash. Next, step back in time at the Frontier Culture Museum, which invites visitors to explore the lives of the Shenandoah Valleys pioneers from the 1600s through the mid 1800s. Wear comfortable shoes to walk between to working farms where costumed interpreters answer your questions and demonstrate daily activities. Little folk will love the animals, and you can rent a wagon if your kids can’t handle lots of walking. Pack a picnic and plan to enjoy lunch at the covered pavilion or under a tree. For your afternoon’s entertainment and a taste of the county, check the schedule at Augusta Expo where there’s always something going on. Events include the Augusta County Fair, monster truck rallies, Bigfoot conventions, antique and yard sales, dog shows, and more. Alternately, slow it down and lounge in Montgomery Hall Park for the afternoon. This 148-acre treasure has plenty of room to relax. It also features trails, Frisbee golf, a public swimming pool, and three playgrounds, including Nature Ridge, Staunton’s new natural playground. If your family enjoys Tex Mex, plan to have dinner at the Baja Bean. The menu has loads of options including choices for the younger set and an impressive tap list. This day won’t be complete without a frozen gelato from The Split Banana. Indulge yourself with one (or more) of the 18 fresh-made flavors. Staunton is home to the American Shakespeare Center and the Blackfriars Playhouse, the world’s only re-creation of Shakespeare’s indoor theater, so it would be a shame to go home without experiencing it. However, if your kids are a little young for the Bard, you might find an age-appropriate movie at the Visulite or Legacy Theaters.